It's only four days until Christmas and now is the time that people start to panic buy the last of their gifts. After sharing my Last-Minute Beauty Stocking Fillers post, it's about time I show you my last-minute picks for the ladies! 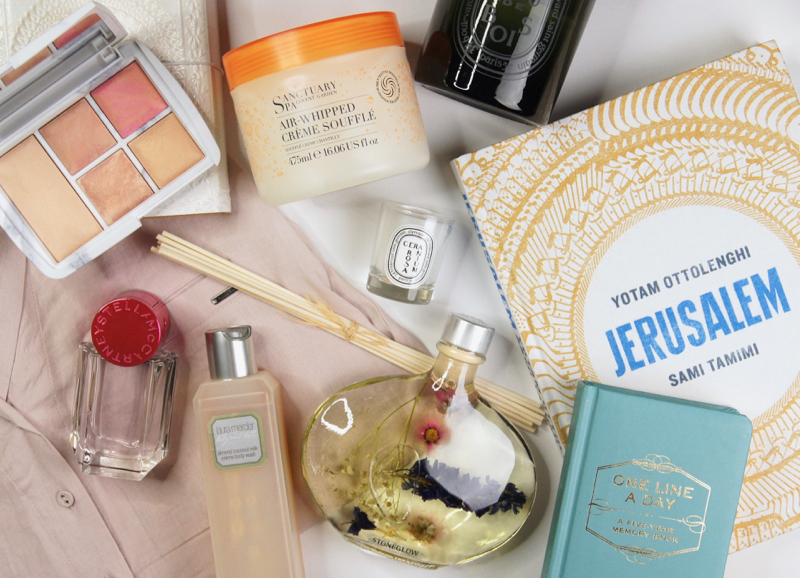 If you're still stumped about gift ideas for any lovely ladies in your life, or you're in need of some ideas for yourself, then hopefully this little guide will give you some helpful pointers. First up, I had to include something that I always love to receive and often ask for at Christmas - perfume. I rarely even buy my own bottles anymore, as I can guarantee my mum or boyfriend will usually surprise me with one. My absolute favourite scent at the moment, is the Stella McCartney Pop Fragrance. It's a fairly recent release, so chances are whoever you're buying for won't already have it in her collection. It's such a fresh, uplifting perfume that's not too sweet, making it a great choice for the arrival of spring/summer. Keeping with the theme of fragrance, candles and diffusers are another gift that I can't imagine anyone wouldn't be happy to find under the tree. For me, the ultimate brand for home fragrances is Diptyque. Their wide array of scents are unusual, sophisticated and give off a strong scent that really fills your entire home, even when they're not burning. Plus, the packaging is just so chic. We all know how extortionate Diptyque's pricing is, though, so if you're looking for something more affordable, then I can't recommend the Stoneglow diffusers enough. Depending on the scent, each bottle is filled with different decorative additions, like flowers and shells. Such a nice touch which makes them a pretty display piece, too. One practical present I'll always end up popping on my wish-list, is a nice pair of pyjamas. Granny alert! During winter, I probably spend more of my time in comfy loungewear and nightwear than I do in proper clothing, so it makes sense really. This year, I fell in love with a soft pink pair from the M&S Autograph Pyjamas range, which I originally bought for my mum. They're simple, chic and so comfortable! Another practical present that you really can't go wrong with, is a new diary or journal. Whether they're super organised and schedule every detail of their lives in a planner, or prefer a cute diary to doodle in and jot down the odd occasion, every girl needs one. As I take my organization rather seriously, my favourite diary has always been the Moleskine Large Weekly Planner, as it has lots of room for detailed notes. I also love my One Line A Day Diary which is a bit quirky and allows you to record a memory from each day over five years, so you can look back and see how your life has changed over time. For anyone that likes reading, whether they're a real bookworm and rack up one novel a week, or prefer pretty coffee table books to casually scan over, books are another great option. As we love to cook meals from scratch in our house, I love to receive recipe books. 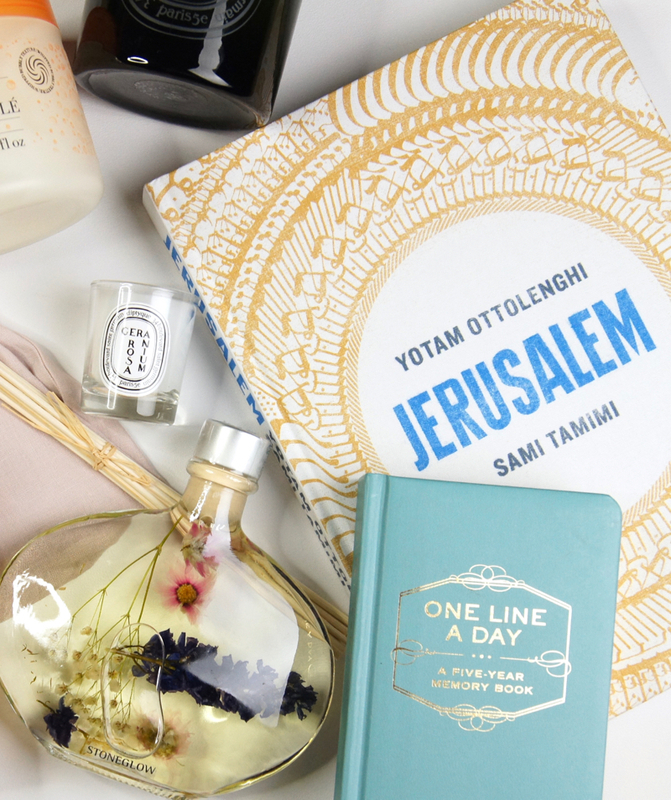 The one I currently have my eye on is Jerusalem by Yotam Ottolenghi, after purchasing it for my uncle and having a quick flick through before wrapping. All of the dishes look insanely delicious and there's a mix of easy and more difficult recipes in there, to suit all skill levels. 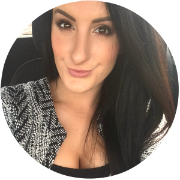 Being a beauty blogger, I had to throw some makeup in to the mix! My top pick for this year is kind of obvious, if you've read any of my recent posts. Of course, it's the Hourglass Surreal Light Ambient Lighting Edit. Full of gorgeous shades of powder, blush, bronzer and highlight, it's a comprehensive palette that would make a great introduction to the brand. If you know that the recipient already loves Hourglass, even better! It is quite pricey, but it would make a great treat for any beauty lover, if they don't already own it. 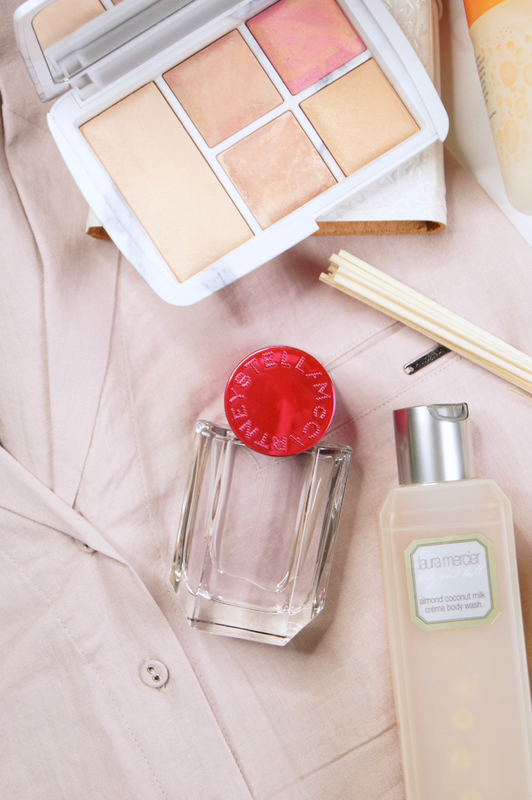 If your girl doesn't wear much makeup, then some decadent, pampering body products are sure to be a hit. Treating her to one, luxe product that she wouldn't buy herself is always nice, or you can put together a little set of her favourites. Personally, I couldn't think of anything I'd love more than the Laura Mercier Almond Coconut Creme Body Wash, which is so decadent and leaves skin smelling good enough to eat. If you want to treat your loved-one to a spa-quality product, with a high-street price, then I thoroughly recommend any Sanctuary Spa products. I've been obsessed with the Sanctuary Spa Air-Whipped Creme Souffle lately, as it's the most amazing body moisturiser. It's just as delicious as it sounds! If all else fails and you don't have any idea of what she would like or the time to shop, then loading up a Space NK gift card wouldn't hurt. Then she can have her pick of the entire range of luxe products and get something she really loves! What are your favourite gifts to receive at Christmas time?